School violence isn't 100% preventable, but we have the capability to provide appropriate supports and interventions to students who are at risk for violence against themselves or others. The Safe School Initiative study, other academic research, and evidence from past events shows us some of the characteristics of individuals who have perpetrated violence in schools. We must learn from these past events to begin the work of preventing violence in our schools. 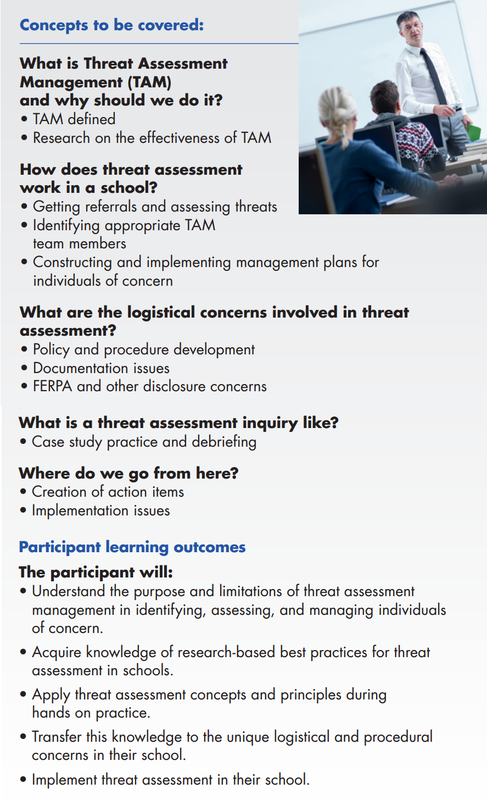 Unlike profiling, checklists, automated decision making and other methods that don't work, threat Assessment Management is a fact-based, investigative approach, where schools can leverage trained, multi-disciplinary teams. 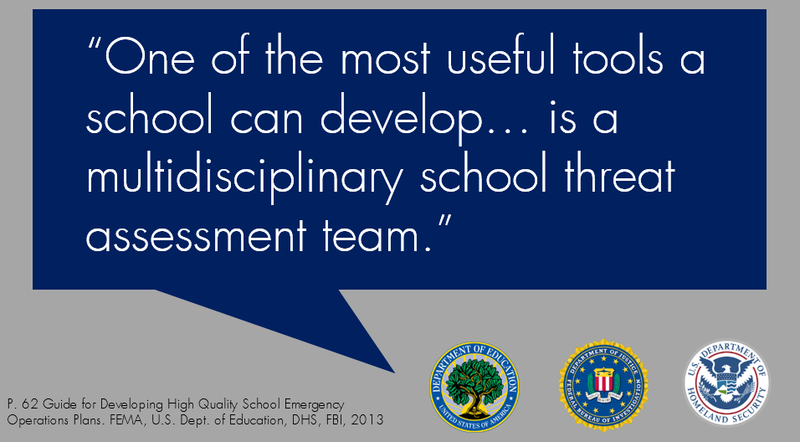 Threat assessment provides a mechanism for schools to balance the right of the student to a free and appropriate public education in the least restrictive environment with the right of the rest of the school to be safe and protected. All of our trainings, consulting services and resources are tailored to meet the needs YOUR of school district, university or organization. In-person training with two of our experts starts at $5,000 (plus travel costs).